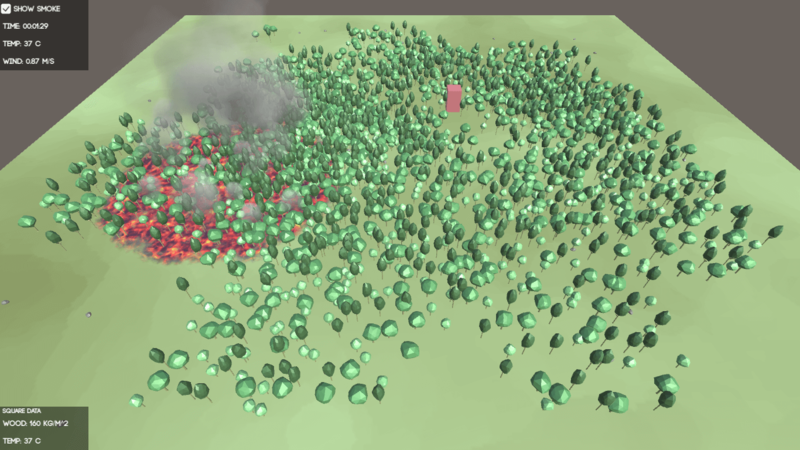 A simulator where you can simulate a forest fire. 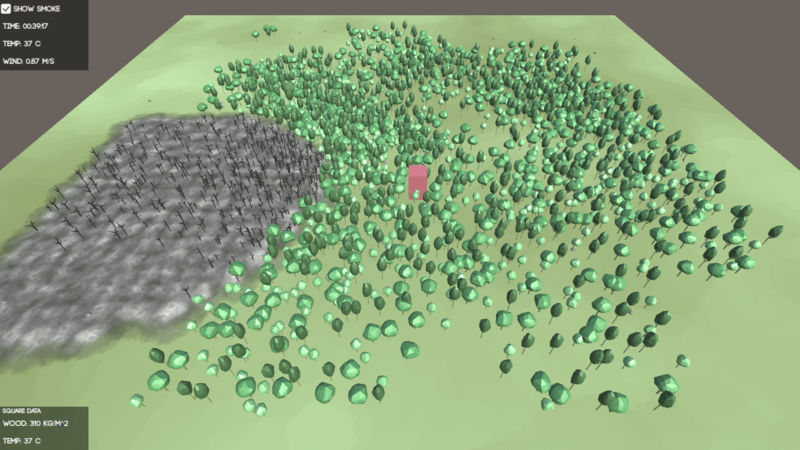 I've used the real physics equations, such as heat diffusion, wind speed, heat loss, and combustion. The basic equations originate from the online course Differential Equations in Action. 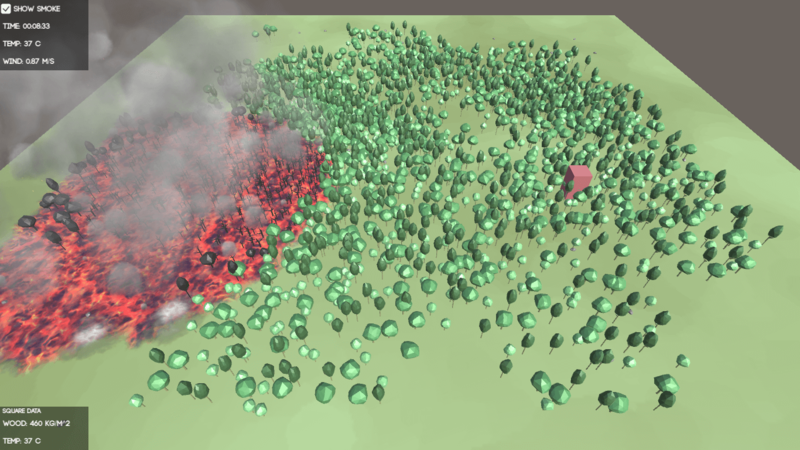 The forest is randomly generated, and so is the wind speed and where the fire starts. 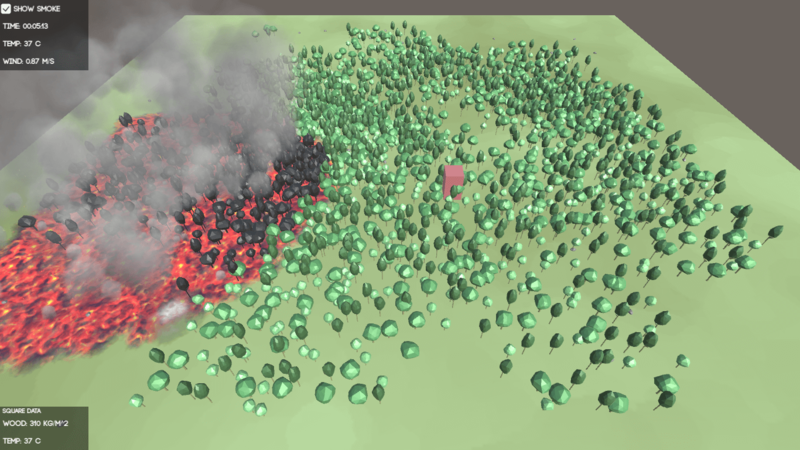 Because everything is randomly generated, there's a small chance that the fire will die out before spreading, so restart the application if you can't see a fire. You can see the wind direction by looking at the arrow at the bottom-left of the map.